As part of The Schoolhouse Review Crew, I received a PDF version of Big Box of Ideas WWII Pearl Harbor Box. Every Big Box of Ideas is full of great learning to supplement your curriculum, or use as a special project. 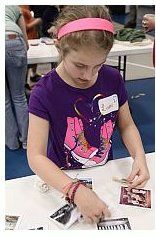 These boxes are great for families or homeschool groups as they are geared for multi-level learning with ages 9-16. Each box is portable, and contains 10 or more modules about the box topic, and provides 10 portfolio pieces to record the student’s journey. There is also a timed SAT style summary test in each box. 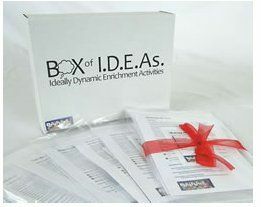 When you purchase the Big Box of Ideas, each module comes wrapped separately, as you can see from the picture below. Very convenient to grab and go, whether your going to homeschool group or just to the dining room table. There is very minimal prep required. With the PDF version that I received, the instructions for each module told me exactly what pages to print out for that module. It even told me which pages to print on regular paper and which to print on cardstock. If you chose to print everything at once, you could sort them out into bags or folders. Or if your like me, you can print the pages out as you go along. 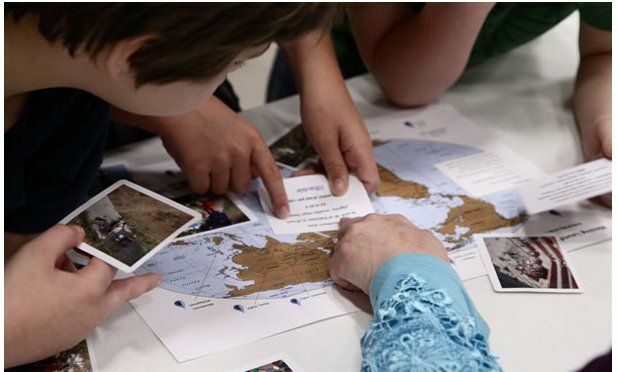 I really loved that I could use Big Box of Ideas with all my children, ages 12, 14, 16 and 17. I have always loved doing school together as a family, instead of separately. Once you get to the middle school and high school years, it’s hard to find curriculum that works for all the grades together. It’s easy to the started with Big Box of Ideas, the directions are easy to follow. The modules are full of information and activities. The activities are fun, whether there are 2 or 5 of you participating. The only thing I didn’t like about Big Box of Ideas WWII Pearl Harbor was that the activities that I had to print from the PDF version are in full, photographic color. To print out all the activities from all the modules takes a LOT of ink. It would be nice to have a printer friendly option in the PDF version. You can see an example of this in the picture below. The Big Box of Ideas WWII Pearl Harbor sells for $79 for the box version and $49 for the PDF version like I received. There are also numerous other great boxes to choose from.